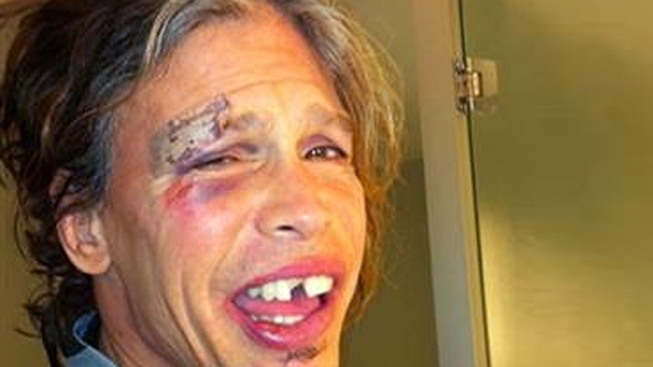 Aerosmith rocker Steven Tyler sported a shiny black eye and bruises on his face Wednesday night when he appeared on stage during a concert in Asunción, Peru after a fall in a hotel bathroom Tuesday knocked out his two front teeth and bruised his famous face. Steven Tyler said it was food poisoning, not drugs that led to his hospitalization earlier this week in South America. The 63-year-old Aerosmith frontman and “American Idol” judge explained on NBC’s “Today” show Thursday that he lost a couple teeth and had four stitches near his eye from falling in a hotel shower Tuesday in Paraguay’s capital, Asuncion. After his tour manager called the American Embassy, Tyler was rushed to “the best hospital” where he had his eye stitched up, some dental work and even plastic surgery, he said. Lauer asked whether Tyler had really fallen "in the shower or off the wagon,” a turn of phrase Tyler said he appreciated. "People thinking that is natural and normal," said Tyler, who has opened up in the past about struggles with drugs and alcohol. 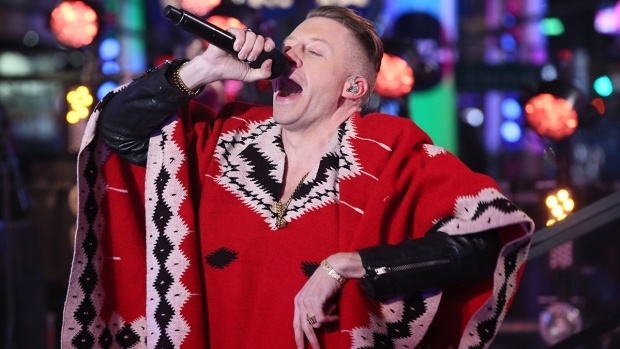 In 2009, Tyler broke his shoulder while taking a spin off a catwalk while performing “Love in an Elevator” during a South Dakota show and entered rehab for painkillers. Tyler went on to explain why he has continued to perform in South America despite his injuries.